I have been transferred to US in my job, I applied for this card after had Discover and Capital One for 6 months and they approved me with 1k credit limit. A little bit disappointed by the 1000 credit line. However, being as a student and approved instantly, what else can you expect. started working on the 150 bonus! I ve been working to built credit and acyually have a discoverit with 750 cl and capital 1 with 300 also have td bank secure credit card with 500 cl . 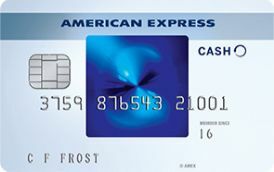 been trying to get amex blue everyday with at least 1000cl but keep on getting denied I see people with worst credit than mine get aproved ,really I dont understand how this companies figure out who to give a credit line all my card are pay religusly every moth 100 percent payment will continue to try. Just got an instant approval for $14,500 - which matches the highest limit on my Amazon Prime Visa card. Also have a $6k limit on Chase Freedom and $1500 on Chase Slate. Credit Karma score is 805. 60k income. Average credit history 6.5 years. This is my first new card in 4 years. Got it to take advantage of the grocery rewards and the 0% intro APR. I applied for Amex Blue Cash everyday 2 weeks ago and didn't think I would be approved since I have a few collections. But am so happy to report I was instantly approved and Im so excited!! New to AMEX. Got approved for 11000. Also have 10X that in student loan debt if that helps. Only have 1 other CC, Chase Freedom Unlimited with 4400k limit. No derogatory's or payment faults. Instantly approved. Happy to start acquiring a few more cards to establish a firm credit history. I looked into this card because I thought it was time that I get a real credit card with some type of rewards now that I had built up credit with my secured card. I got approved instantly; although, I feel as if my credit line should've been slightly higher given my income. Hoping they will increase it after a year or so but overall it makes sense with my lack of previous credit history. Declined. Zero hard inquiries, 675 Fico. My score was 790. I applied for both the BCE and Everyday and got approved for both. Limit was $10k each. I suspect that if I had applied for just one of them, I would have gotten $20k limit for one card. I have a score of about 760 with one baddy. I got approved for $5000. I also have a chase slate ($3000). My credit history is relatively short (less than 1 year) but I had a capital one secured card which I have been using and paying in full every month. I have a couple of inquiries due to auto loans. My score is about 700. I applied but was not approved instantly. About a week later, the card arrived in the mail. The limit was only $3000. I thought it would be more given my scores but I guess my short history counted against me. Existing cards: Amazon Store Card ($1000), Discover IT Student ($500), Chase Freedom ($2000). This is my highest limit card. I am a student. So think though my score looks good, the limit is low because I have no income. Approved for $5000 with a 695 EX score. Was approved for $10k. My score then was 805 (according to amex free fico score on their site). One year later, they bumped my limit to $20k. Thanks Amex. I have a TU score of 660 when I applied and was approved for $5k. My other cards are Cap One QS - $4k, Chase Slate - $5k. I have been rebuilding for about 3 years and had a bunch of store cards. I decided it was time for a "proper upgrade" to a real credit card. I really liked the rewards of this card so I applied. Score was 723 and got approved for $6k. 715 with EQ and got approved for $10k. I earn at least $200 a year on rebates. I just graduated from college and am 25 years old. My scores are like 700 and I only got a $1000 limit. My citicard comes with a $3000 limit. Looking at all the reviews here, it looks like I am given a lower limit because of my age. Approved for $10,000 with score of 740. No blemish on my credit reports. Income: $90,000. I have a short history (about 10 months). My score was decent (710) and I got a $2000 limit, which is perfect for me. I can't believe it. 740 score and a $10k limit. Am definitely using this as my main card. Have been rebuilding my credit for the last year. It is now 660 and I applied for this. I thought it was a long shot, but I got approved for $2k. I BKed 10 years ago and Amex was one of those BKed cards. My score is now 690 and I have a few cards like Chase Freedom, Discover IT and Capital One QS all around the $3-4k limit range. I wanted to apply for this card because of the gas and grocery cash back. I was approved for $3k. There has been much speculation about Amex not forgiving folks who have included their cards in a previous BK. But it seems like they forgave me. Amex pulled EX in my case.I was approved for $5000. I have a very short credit history. 6 months in and my score is like 615. Applied for this card and actually got a $500 credit line! I have a 1 year credit history. EQ score was 705. I have a Cap One secure with $500 and also their platinum card for $800. BCE approved me for $10000. Wow - that's all I can say.. I got approved for $20000. I am a college student and have a 735 score. I also have the Discover IT student. I decided to try my luck with Amex and was approved for $2k. I also work part time BTW. They pull EX. And my EX score is 730. Was approved for $15k. I have the Amex Everyday ($10k). Got approved for $10k with this card. Score was 768. Got approved for $10k. I have been out of this country for about 5 years. Came back and started rebuilding. Score was 740 when I applied and was given a $7k limit. Approved for $2500, but CLI to $5000 after I activated! Score was 680. Applied and got approved for $5k. I was quite surprised to be honest, but happy nevertheless. Score average was about 630. I applied and was approve for $1000. Guess that is small compared to what others are getting. But given my scores, it ain't too shabby at all! I got approved for $12000 with fako scores of 700 (not too sure of what my real FICOs are). approved for $1000. I just graduated, which is why I think my limits are lower. Never thought I would be approved...but I was. I was quite surprised at my limit (to be honest). Thought that I would just get maybe $2k limit or so. Looking to using my card at the pump and at the groceries. This card is absolutely great for gas and groceries. I got $20000 line with a 740 Ex FICO (which I got after the approval through Amex's site). TU score of 730. Got instant approval for $10k. Love the cash back rewards. This is now my everyday card. My CK score is 750. I got approved for $7k. I also have the Discover IT and I think I'll use both to them to max out my cash back. Score was 800. Got instant approval for $25,000 credit line. I do not even think I'll approach spending any where near my credit limits. I applied for this a while ago when my scores were 720. Back then, I got a $10k limit. Since then, my credit limits have steadily increased and it is now $25k. The thing that I really like about Amex is that when you report a fraudulent charge, they really take care of it. No questions asked. My credit karma score was 730. I applied and got approved for a $7,000 limit. This is now my goto card since you earn extra cash back on grocery and gas. CK score was 680. EQ was 710. Applied and got approved for $13k. So glad I finally got in with Amex. I only have a very short 18 month history cos I have never taken any credit before or even had any credit cards. That all changed recently. But here is my background. I applied and got instantly approved for $1.5k. CK score of 740. Got approved for $2000 (which I thought was rather low). But this is a very good card and I am using it for all my spending. EQ score was 670. Was approved for $2500. I had no credit score. New to credit. $1500 was the credit line that I got. TU was 588. I gave this card a shot and got approved for $1000. I couldn't believe. Finally, I am in the door with amex. Experian score was 670. Got approved for $3000. Super excited. My card was in the mail 3 days later. Wow - that was quick. Got approved for $2500. On the same day, I applied for Chase slate and also got approved for $4000. I am in the midst of rebuilding my credit. Score was 675 when I decided to apply for this card. Got approved for $1500.